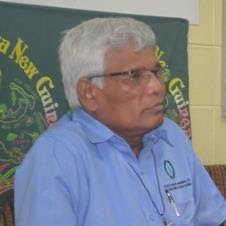 The Catholic Church of PNG has reached a critical point of frustration with the lack of anticipation and ignorance shown by the Government towards issues affecting the country. During the Bishops’ Conference held early this month in Vanimo, the Church leaders highlighted Tuition Fee Free Funds and Church Health Services funds cut as the two main problems that will affect the operation of the church this year. General Secretary of Catholic Bishops Conference, Fr. Victor Roche revealed today in a press conference that the Church will look to withdraw its partnership with Government in 2017 if there is no change in assistance by the government. According to Fr Roche, in 2013 the Prime Minister, Peter O’Neill visited the Bishops during their annual meeting and promised to arrange a meeting between representative Bishops and respective Education and Health Ministers and Secretaries to discuss problems but these meetings did not eventuate leaving issues still unsolved. “We want the Prime Minister to honour his promise and the Government to start regarding us as Partners rather than an organisation who only provides service to the people,” says Fr Roche. He stressed that many people will be affected because of the government’s ignorance as the Churches are the only people that reaches out to the rural communities were the government cannot go to. “Our concern is the people in the rural areas because the Catholic Church is there with their people educating them and taking care of their health because the government cannot go there. Just imaging what’s going to happen to this people when the government is not getting its priorities right,” says Fr Roche. It was also noted during the Bishop’s conference that the TFF Policy is facing many problems because it was an idea introduced and implemented without Churches Education Council and Catholic Agency involvement.